Attending to mentally demanding tasks can be daunting and requires focus and concentration. Increasingly, we are turning to memory boosters to provide a solution to improve focus and stay motivated throughout the day. Supplements containing quality ingredients, such as gingko biloba, offer improvements in memory, focus, concentration, and mental energy. The development of nootropic supplements has provided a viable solution for many people. However, the ingredients used by manufacturers varies widely. For this reason, it is important to research your option carefully to learn about the gingko ingredients, benefits, dosage & side effects of supplements for memory and focus. Gingko biloba, also known as the Maidenhair tree, is easily recognizable by its unique, fan shaped leave. This is one of the world’s oldest living tree species, dating back as far as 300 million years. the leaves of the Maidenhair tree have been used in Chinese medicine for thousands of years to improve memory and treat asthma symptoms. Gingko biloba remains a popular herb, both in traditional medicine and the natural supplement industry. It is commonly used for its memory enhancement benefits in natural supplements. Gingko biloba offers benefits for increasing memory, mental function, attention span, cognition, and for reducing anxiety. The many benefits of ginkgo biloba explain why it is a key ingredient in supplements for brain health. Gingko biloba has a two-fold effect on the body. Gingko has antioxidant benefits to reduce damage caused by free radicals and improve blood flow and oxygenation to the brain. This makes nutrients more accessible to the brain to enhance cognitive function. Gingko biloba has been shown to have both immediate and lasting effects on the brain. This unique natural substance has been found to be effective for many causes of memory problems. Supplements containing gingko biloba are used by people with Alzheimer’s disease, cerebral atherosclerosis, acrocyanosis, dementia, peripheral vascular disease, cerebral insufficiencies, depression, menopause, and many other conditions. Gingko biloba is a natural product that is safe for adults and produces no harmful side effects, as long as it is used in moderation. It is important to follow dosage instructions exactly because exceeding the recommended dosage can cause problems such as headaches, dizziness, upset stomach, constipation, allergic skin reactions, and heart palpitations. Gingko biloba and supplements containing this ingredient may not be suitable for everyone. For example, it is generally not recommended for people with diabetes, as it may interfere with the management of the condition. 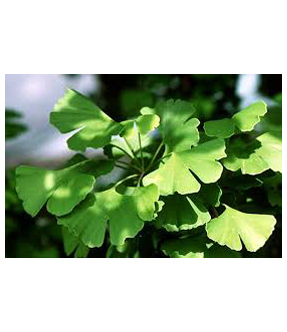 As far as the effectiveness of the product, gingko biloba has been shown to be effective. However, that does not mean that every product containing this ingredient will deliver results. The effectiveness of a particular product will depend on the amount of this ingredient, as well as the other ingredients in the formula. If you are interested in learning about a specific product, read customer reviews and the independent reviews at Smart Pill Guide to find the information you need.